Judith, a special thank you for taking on the responsibility of this wonderful meme. They are wonderful and frilly!!! And I love the colors, bravo!! 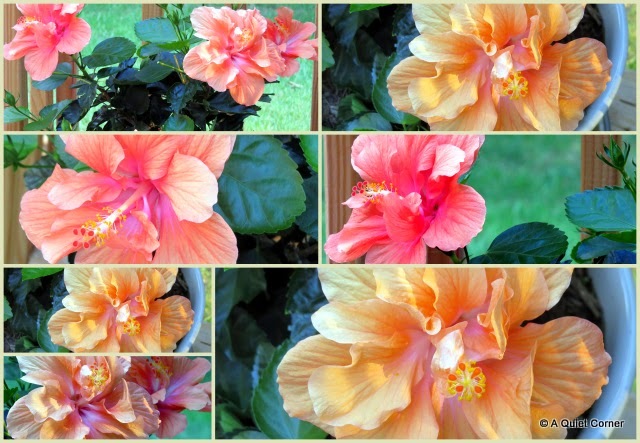 You have some gorgeous hibiscus and I really like the peach coloured one. The flowers are so pretty and looks like she got enough candy to share....maybe that was the idea!